Description: "My version of POP 4D." new comments and replays. comments: Very, very similar to the original game, especially the later levels. Some levels are almost completely the same, some entirely (level 9). LP's are easy to obtain, the mod is easy. In the room when you meet the first guard in level 2 there is a button that you hear it opens a gate; but in all that level there aren't!! So where is that opening gate?? 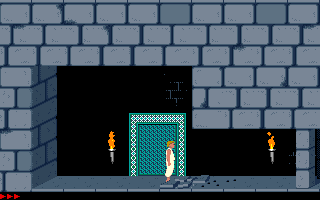 It opens a gate in an unused room. The author of this mod started with the original level 2 and changed it. 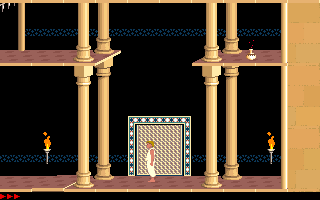 That room had a raise button in the original level 2. The author of this mod never removed that raise button, and did not use the room where the gate is that the raise button opens. He should have remove the button; now that room with the opening gate is not viewable even using the special commands: U - N, H - J. 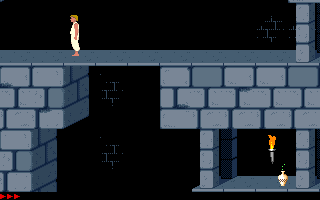 Instead, in Level 5 he keeps a gate of the original game, but it is next to a wall. I agree about the comment by Norbert, this is an easy mode, especially for people who already played the original PoP. Furthermore some levels are almost, or totally, the same as the original PoP. I completed it at the first attempt, with still 22 minutes missing. But still it is enjoyable, it has a couple of nice levels and it is especially good for giving you more self-confidence! Another important thing to note: the "4D" in the mod name means nothing, it is not related to the "4D prince of persia" mod and there is no "4th dimension" in this mod, so I don't understand why they chose to put 4D in the name!